Very nice capture! The trailing water drops add a lot and just enough room at the top. Nice colors, too. Remarkable take off shot, Fabio — excellent composition. 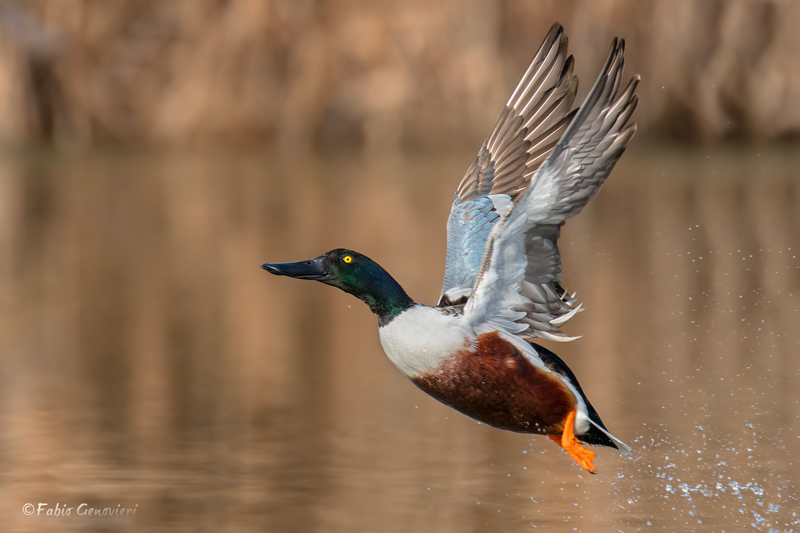 Nice take-off image with great light and background. The slight angle toward the viewer shows and back of the back wing well. Nice take off shot. I usually end up with half a duck on these shots. Good wing position. The trailing drops accent the action. I like the OOF background with just a hint of texture.